With news of the first diagnosed case of Ebola in the U.S., the public is on edge and turning to social media for fast answers about just how vulnerable they are to the deadly virus. For even the most skilled Twitter maven, providing accurate information on Ebola in 140 characters or less is a challenge. 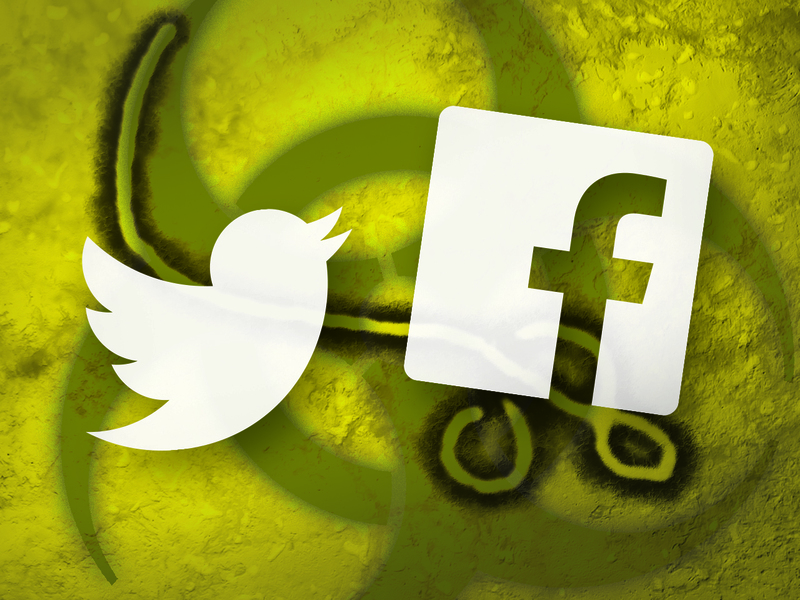 Social media is sometimes a challenging place to deal with complex subjects, but it's a way to reach millions of people, so public health officials and medical experts are using Twitter and Facebook to try to educate and inform. But other users take to the same outlets to share half-truths and rumors, perpetuating a number of irrational fears about Ebola. Misinformation can spread much faster across the U.S. than the virus ever could. Many Twitter users have tried to combat the gross misunderstandings in circulation, especially about how the virus is contracted and how to recognize symptoms. In an effort to combat the virtual hysteria, many health and government organizations are harnessing social media to educate the public about the realities of the disease. On Thursday, the U.S. Centers for Disease Control and Prevention held a #CDCChat on Twitter in an effort to address the public's anxieties and answer questions. Twitter users posted their questions to @CDCgov and @CDCEmergency. And some -- not so serious. @CDCemergency Big OU Texas football game in Dallas 10/11/14 should fans be concerned about attending game? Social media is also lighting up with a number of conspiracy theories about the outbreak. Some people claim Ebola is a man-made virus. The government exposed these people to the Ebola virus. While others spread the alarming -- but completely false -- theory that the government is putting Ebola into common vaccines. #VaxTruth DON'T TRUST THE CDC!!! Africa #Ebola #EbolaOutbreak #CDCwhistleblower #Autism #CDCchat DON'T GET VACCINATED!!! #Period. But despite all the fear-mongering, there are people taking to Twitter and other types of social media to tell the story from ground zero of the outbreak. Dr. Nancy Snyderman, chief medical editor at NBC News, snapped this photo while on assignment in Liberia. On Thursday, doctors confirmed her cameraman, Ashoka Mukpo, has contracted the virus. He is returning to the U.S. for treatment.